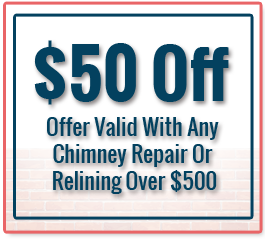 At 301 Chimney, we strive to offer our customers exceptional customer service experiences every single time, which is why we love to help them out with special offers and discounts. When you are looking for an affordable chimney sweep in Washington, DC, look to the specialists at 301 Chimney. 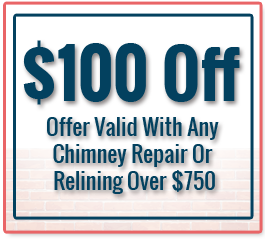 During our Maryland chimney repair, you can expect a thorough and comprehensive sweep to look for possible problems and needed upgrades. We offer solutions to soot build up, cracks in your lining, upgrades to your chimney caps, and other related chimney issues. 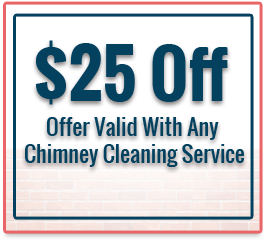 Our special offers range from discounts off of your next chimney cleaning in Washington, DC to discounts off of your needed chimney relining services. We aim to serve our customers with respect and integrity by being honest about repairs and prices! If you are interested in receiving a top of the line chimney sweep, contact us today at (240) 623-0733.